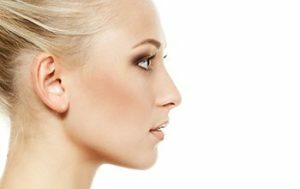 Botox: A great and effective way to remove wrinkles from the face. It is a safe outpatient procedure which can be done quickly and has been used for years. The full effects of the treatment will take a few days to be noticeable and lasts several months. Juviderm: This option is injected into the face to smooth out wrinkles and folds. The advantage to this option is that it lasts longer, in most cases well over a year. Chemical Peels: This simple but effective option applies the chemical solution to the face as well as other parts of the body including the neck and hands. It is also used to help skin get smoother and look younger. Something different: You may not think of a Miami dentist as the place to go for Botox, Juviderm and Chemical Peels. The reason we offer these additional services is because our patients want to have a beautiful smile and that covers more than just your teeth. You will leave our facility looking healthier, younger and ready to take on the day with a newfound sense of confidence. We are excited to offer these great options our customers can rely on. Experienced techniques: One thing you will know about us very quickly is that we do not offer any service unless we have seen it has a proven track record as well as knowing that our team can perform it at the highest level as well. Our patients demand the best from us and we do not offer an option unless we know we can deliver on an elite level. How can we help you: Along with elite customer service, we want to make sure that you are well prepared on how to maintain and improve you’re the results after the procedure. Whether it’s Botox, Chemical Peels, Juviderm or something else, we will help you prepare for everything before, during and after to ensure the quality is as good as possible and the effects are long-lasting. If you are concerned about facial cosmetics and you are not sure what you can do to look years younger, it starts with what you are putting on your face each day. This includes things like cigarette smoke, sunlight and any soaps, perfumes or lotions. All of these things can benefit or cause damage to your skin and over a period of time, the results will show. So, what are your options to looking and feeling younger? Why not go to your dentist in Miami for information and options? You think of your dentist as someone who cleans, repairs and treats your teeth when you need it, and that’s what they do. However, we can offer so much more. Why did we add these services to our business? Because in Miami, there is a demand to look young and beautiful. Whether it’s business meetings, driving around town, sitting by the pool or posting on social media, your face is constantly being shown off and you want to show the very best version of it. You can accomplish these goals in a single visit to our office. We can provide you with a teeth cleaning and whitening package and then use facial treatments like Botox and chemical peels to get years off your face and look and feel younger. Facial cosmetics and oral care are something we specialize in, but they also need to be a part of your daily routine. We can show you what to use and what to do that will help you get younger, healthier looking skin. If you are curious about the treatment options, how they work and how they can benefit you, please feel free to contact us to schedule a consultation with our team and Dr. Dison. The goal of a younger, healthier and happier you is a phone call away.